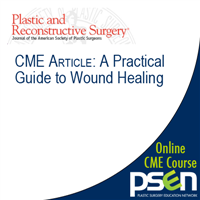 The ASPS designates this enduring material for a maximum of 1.5AMA PRA Category 1 Credit™. 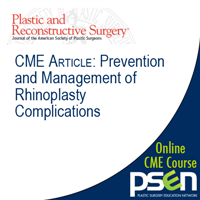 Physicians should claim only the credit commensurate with the extent of their participation in the activity. 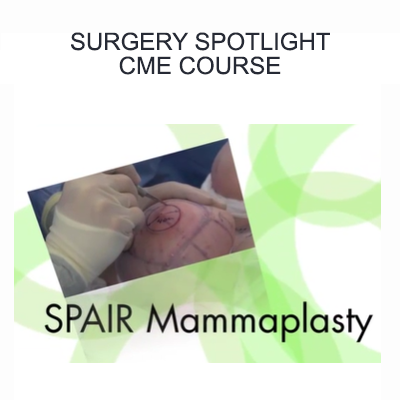 In this video-based CME activity, Dennis C. Hammond, MD demonstrates the SPAIR mammaplasty technique and discusses how it differs from the Wise pattern technique. A series of videos puts you in the operating room with Dr. Hammond as he prepares and performes this procedure on a patient in real-time. 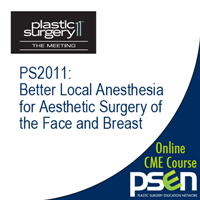 Learn how this expert practitioner makes measurements and surgical markings to ensure optimal aesthetic outcomes in breast reduction and lift and watch him perform a SPAIR mammaplasty, beginning with marking the site to completing final suturing. In addition to demonstrating his techniques, Dr. Hammond explains the reasoning behind his choices and how they produce optimal results. 1. Use a circumverticle pattern to limit the scar to the central portion of the breast and avoid the more traditional long inframammary scar. 2. Prepare a patient immediately prior to reduction surgery, including measuring and marking the breast(s), identifying where to position the top of the areolae, and where and how to inject anesthesia for optimal results. 3. Explain the reasons for using local anesthetic with epinephrine at the surgical site. 4. Create a complementary reduction of skin envelope using the SPAIR technique. 5. Assess the patient during surgery and create intraoperative markings. 6. Apply the periareolar interlocking technique to repair and manage the periareolar defect, and control the shape of the breast. Dr. Hammond has no relevant financial relationships or affiliations to disclose. All ASPS staff members managing this activity have no relevant financial relationships or affiliations to disclose. All identified conflicts of interest have been resolved and the educational content thoroughly vetted by ASPS for fair balance, scientific objectivity, and appropriateness of patient care recommendations. The ASPS also requires faculty/authors to disclose when off-label/unapproved uses of a product are discussed in a CME activity or included in related materials. The Surgery Spotlight program was created to bridge a difficult gap between classroom theory and clinical application. Every month, PSEN seeks out experts in the clinical field to demonstrate their approach to a given surgical problem. By presenting the Surgical Spotlight program, the PSEN does not suggest that any one surgeon's operative method is the sole or only appropriate approach that should be considered. Every surgeon should use their own judgment in planning their operative approach to suit their own skill set and the needs of their patients. The views expressed in the Surgery Spotlight programs are the views of the operating surgeons and do not necessarily reflect the views of PSEN.